So I have a small confession- life for me can be pretty hectic. Being a full-time working wife and mother, can be just a wee bit overwhelming! I wrote about this in my “Not enough” post, so I won’t hash it out here. Feel free to check it out, by clicking on the link above. While I walk around feeling flustered and fatigued, I can’t help but notice you ladies sitting pretty with your legs crossed, sipping your beverage of choice. You have everything under control. I see you out there! What about coping mechanisms for a tough day? And to those who admit to feeling ‘filled to the brim’- c’mon, I can’t be the only Mom sitting in the corner, pulling her hair out. There has to be others out there. Share your concerns and read through some of the tips left by our community members. Good move. It’s really hectic being a full time working wife and mother. My Tips are: Find time to relax, engage in indoor exercises and ensure you go to bed happy. Whoa, whoa, whoa! Bite your tongue, Lovehappily. Don’t ever use that E-word here again. Just kidding! Exercising is a great tip. Why? Because when we exercise, our body releases a chemical, called endorphins. Endorphins reduce perception of pain and helps with positive thoughts. And I love the relaxing and going to bed happy. I can attest to the benefit of those. Thanks for stopping by. Hahaha! I love this and just learned something, Rose. And you are welcome. Good job ladies on trying to do it all. But take it from an old doll of a particular age. Slow down don’t let the grind of life rob you of your salvation and raising your children. Realizing that while trying to do it all working a job and a half and having three children, being a wife and employee, their early years is kind of a blur. It wasn’t until later I had to slow down and let things fall into place. I can’t say it was easy to do but I had to make a decision of what to put first. So I did, I put God,family work in that order. God made it all possible he made sure we didn’t miss a beat on making our bills and having food and shelter. I had to sacrifice better pay and a better job to make sure my kids made bible class and learned about Jesus. So take my advice SLOW DOWN!!! Decide what is more important. By my choice I was able to make all the kids games and events. They will remember that and mean so much more than you being superwoman. Something will have to suffer just don’t let it be your soul or your kids. You can be an amazing woman without spreading yourself so thin you are no good to anyone. God made a way and provided. Without making me a millionaire I have two college graduates. True I may not be where I want to be in life but it is where God wants me to be and I sometimes wonder what’s up with that? But now I stop asking and am learning to just slow down and let it go. We have to wonder who are we impressing the world or God? So take it easy ladies we can do it all without doing it all. Wow Lovie, I think I’ll just hand over the Mike to you! That was quite inspirational! I thank you for your wisdom. Sometimes we just need to hear that we need to make the right choice, we can’t have it all. It is important that we put our family first! Thank you for your sharing. I really appreciate it. Question: you stated your kids are older, do you have any Grandchildren? Do you find yourself helping your children out, knowing it is difficult? I am sure if you do, you are an amazing one. Thanks again. Look forward to hearing from you. I’m still too new at the full-time working mother thing to cast my own advice into the ring, but I’m glad you’ve opened up the conversation! Me too! Can’t wait to see what advice is given. I will check out that other blog. Thanks for leaving it. Very nice blog. Thanks for recommending. I am right there, pulling my hair out in the corner with you. Today is one of those extra exhausting, overwhelming days for me. I’m going to muster up the energy for a very long yoga session tonight! Thank you for sharing, it’s great to know we aren’t alone! You are welcome. Yay to the yoga session. Enjoy! I am a stay-at-home mom so to speak. I mean, I live in community at a YWAM base. I don’t have enough time in the day to do all that I want or need. Yesterday I literally had a breakdown and cried my eyes out. I homeschool my Asperger’s son in the mornings, get my daughter going on learning to read English right after lunch, then I have time to invest in my ministry. Not-to-mention my classes on Tuesday afternoon and Thursday nights. One thing I know is that I need to get my exercise in. It keeps the endorphins up and the body healthy (along with healthiness food choices). Also, connect with others in a non-work situation. I am sorry to hear about your breakdown yesterday. You have a lot of responsibilities, so this is understandable. I can relate to those feelings. Sometimes we need to sit and have our crying sessions. It’s so refreshing to hear others being completely candid. Many of us experience those moments. I’m not supermom- and that’s ok. You gave great advice about connecting with others. This is why I love this forum. I have the opportunity to connect with many of you. Thanks for sharing. Still learning how to say no, and how to bow out when I have too much on my plate. Learning how not to try to be superwoman. Learning to be humble. As my son grew up, I told him there was only one perfect human, Jesus, and that’s because he was God. The rest of us are imperfect and that’s okay. That’s very wise advice. I am learning how to ask and accept help and accept my imperfections. You are right- we don’t need to attempt perfection. Its unattainable! One of the lessons I’ve learned from Jesus’ example is to forgive myself for not being perfect, to love myself. Yes. You are speaking the truth. Thank you very much for the confirmation. Thanks for the encouraging words. It’s something we tend to forget or neglect. I feel better just knowing I’m not doing anything wrong to feel this way. It happens. But I can tend to myself also. I’m in the same boat as you Rose. Wife, Mother, Full time worker, and trying to still be a friend, going to church, meetings and everything else under the sun. Wish I could say I was sitting pretty with my legs crossed but that is far from the truth! It can be hectic but making sure I find time for me is essential for balance of it all. I just have to get away from my demanding child, husband and job sometimes to regain my sanity!!! I go for massages periodically and yes the E word (Exercise) has to have its place as well. Girl time is a REQUIREMENT!! Need a place to vent and be reminded that I am not alone in my efforts of trying to be EVERY WOMAN! GeeesshhhH! LOL! But I am realizing that me being a martyr is not good for myself, or my family. Cuz a grumpy mamma, is not at her best. Thanks for the advice. I am sure others are getting the message. Finding time to exercise again and focus on me- is a must. Glad we are able to vent. Welcome to the solidarity group. I am disabled, but I used to have young children, a job and a husband. I had help from the ex-hubby. Now I take care of me and my problems. 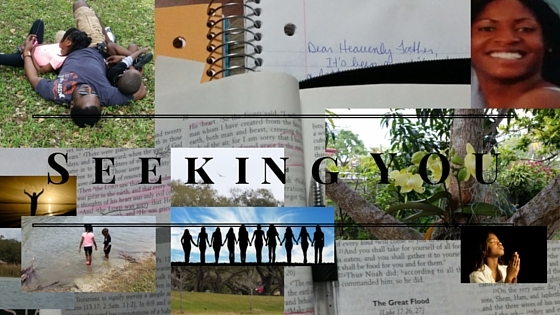 I read you blog, so I know you are seeking God which is what is needed. God bless you and thanks for stopping by. I’m not a mom. But I will never stop admiring my mom for taking care of 6 of us. Now all of us are grown ups, but I think she must have had some super powers to deal with all of us. I think every mom is like a superhero every single day. A great conversation going on here. Bravo! Thank you for your feedback. It means a lot. My joy Rose. Great day to you! Not an easy feat. It requires a lot of fine balancing and apportioning of time. In that time, I always schedule a me time as well. To survive, I do things on a larger scale, like bulk grocery shopping, planned menu with cooking extras so that there are days off when we eat the left overs and I get some reprieve. It’s a looooong list my dear. Ooh these are lovely ideas. It seems like you really plan your days out. With this meal planning/ bulk cooking, how often would you say you cook per week? Smart! I’ll keep you posted on how implementing this works for me. You’re welcome Rose! Yes I have a son, oh excuse me GRANDSON. I help out to a fault where I sometimes slip and call him my son, and he call me mom. I remember at one point in my life not having a car and having to take them to daycare and me to work on the bus. Talk about timing, if I was off one minute my day was ruined. So I help out a lot and love doing it! Also because I know how it is to have NO support as a young mother. Trying to prove I can do all. So like I said not until later I realized who am I impressing? I realized what was important. I can go on and on because I love to help the younger generation. Wow. When everyour start to thinkyou have sooooo hard… Thank you fir sharing, Lovie. Since you live to help the younger generation- I think I’ll keep you close:). Because I LOVE to share in the wisdom if the older generation. My coping moment was releasing to God the concerns regarding my children. I reminded myself that He loves my children more than I ever possibly could. Prioritize what needs to get and what can wait. Sometimes the dishes, sometimes the laundry, etc. And most important, you must take some time for yourself. You have to be able to care for them and you can’t if you don’t take care of yourself. Lessons learned the hard way. Thank you for the sage advice. I am learning more and more the importance of taking time for myself. It is hard to prioritize, when there are so many tasks marked urgent. But as you said, something has got to give. And it can’t be myself of my family. I am still trying to figure out how I do it. I have been working at home for about 3 years now and have two little ones. Some days I nail it, but most days I don’t. Thank you for your honesty! It’s getting easier for me, but I must say those off moments will find you. Some of the tips left here have really helped. Hats off to you with three children and working from home! I feel yah. between working 40 hours a week then coming home to a mess with a husband who feels cleaning is a “wifes job” life does become stressful at times. Wow! It’s so amazing how there are so many women with the same struggles. We just don’t mention it.